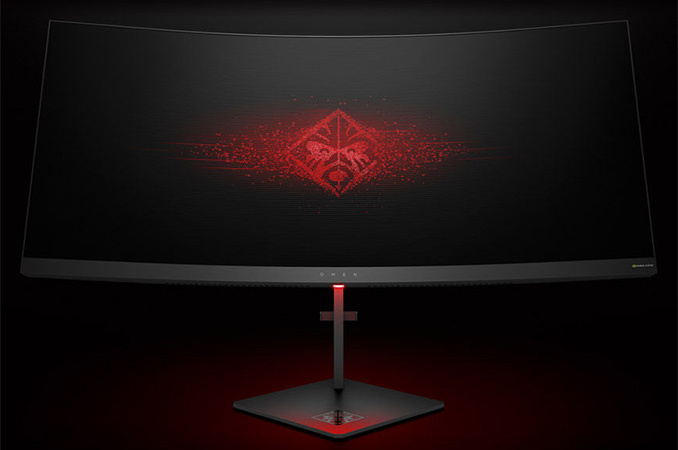 HP at CES introduced its first ultra-wide curved display for gamers that belongs to the company’s Omen X lineup. The unit will be among the largest monitors from HP and also the company’s first one to support NVIDIA’s G-Sync technology. The release of the Omen X 35” screen emphasizes growing importance of gaming hardware for HP. The HP Omen X 35” display is based on an AMVA+ panel with 3440×1440 resolution, 300 nits brightness, 1800R curvature, a 2500:1 contrast ratio, a 100 Hz refresh rate and a 4 ms response time, which makes for an interesting combination of characteristics. To smooth the gaming process, the monitor supports NVIDIA’s G-Sync technology, but the maker does not disclose supported working range of the tech. HP says that the monitor can reproduce 16.77 million colors and supports 100% of sRGB color gamut, which is something logical to expect from a gaming display that will run primarily Microsoft Windows. For connectivity, the Omen X 35” can use either a DisplayPort 1.2 or an HDMI 1.4 input. In addition, the monitor has a three-port USB 3.0 Type-A hub, an audio input and a headphone jack. 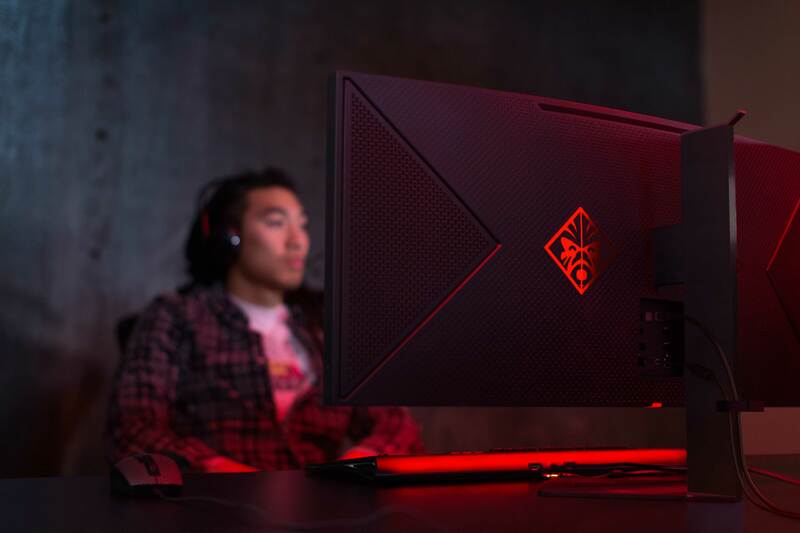 Since the HP Omen X 35” is a premium monitor for gamers, it does not have integrated speakers because the majority of gamers use standalone audio systems or headphones. HP will position its Ultra WQHD Omen X 35” as its top-of-the-range monitor for gamers and will price it accordingly, at $1300 when it becomes available in March. Curvature, 21:9 aspect ratio, thin bezel and NVIDIA’s G-Sync technology will be the main selling points of the monitor. At present, there is only one competing display with 3440×1440 resolution and similar features (the ASUS ROG SWIFT PG348Q), so, HP’s offering will be comparable with its direct rival and ahead of other suppliers. Meanwhile, the display will be covered by HP’s one-year limited warranty, which is considerably shorter than other suppliers of monitors provide. Check it on some kind of dark violet/purple and you`ll see the difference clearly. I was completely happy with my Benq before I did, now not so much. Well VA TVs sure beat IPS. WAAAAAAAAAAAAAAAAAAAY more contrast and they're really fast too (although for a VA panel this doesn't have much contrast...though still like double what "good" IPS usually has). How is this an improvement (and in fact, a step behind!!) over the 34" 3440 x 1440 IPS, 100hz. G-sync Acer x34?? I've been an x34 user since day one and this new HP seems like a step backwards.